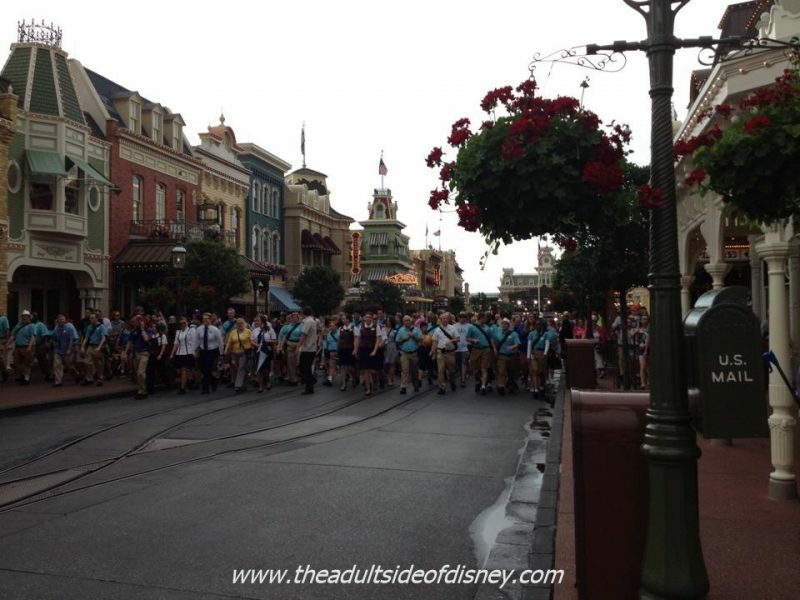 Many of us love to get to the Magic Kingdom® before opening to witness “rope drop” and the opening ceremony performed each day. I go because I enjoy the excitement of the ceremony. Many go so they can make a mad dash to the most popular attractions to either get in line or when paper Fastpasses were still in use, to grab a Fastpass. 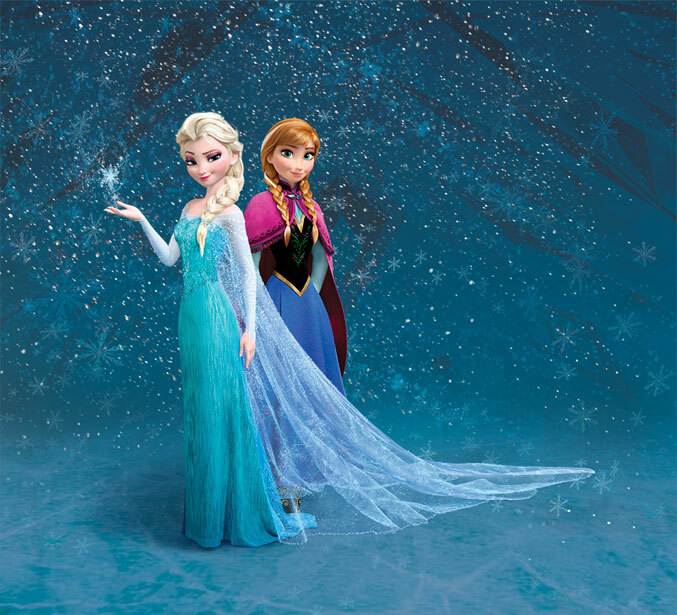 Recently the popular Anna and Elsa from the movie “Frozen” moved to the Magic Kingdom’s Princess Fairytale Hall from their original location in the Norway Pavilion of Epcot. Since this move those that have not been able to book a FastPass+ through MyDisneyExperience have been attending rope drop in order to get in line to see the popular duo. The result has been a stampede like rush when the gates open with pushing and shoving to get to Princess Fairytale Hall (not sure what this behavior teaches the children that you are trying to get a space in line for). So…if you were looking to get into the Magic Kingdom® the moment it opened to make a mad dash to Princess Fairytale Hall to get in line – Let It Go! I’d also heard that during the previous “stampedes”, people were running through the shops along Main Street USA to try to shave precious seconds, and knocking over merchandise and/or CMs and other visitors. Sheesh, people, it’s just a highly overrated movie fad, calm down. It’s not worth injuring others. I’m glad about the new rules. I was befuddled by the crowd I found at the back gate to Epcot (where there is no opening ceremony) until I realized what the crowd was for. I’ve done the MK opening ceremony a few times with young kids and it always brings tears to my eyes!! such an emotional start to a day of magic!! I have been going to the WDW since the 70’s and still get excited by the opening ceremony! They should have at least 2 sets of Anna & Elsa. 1 set for FP+ and at least one other set for stand-by. It’s very simple to weave each line to a separate and secure room. It’s no brainer. There is 2 sets of Elsa & Anna at Fairy Tail Hall. Just as there is 2 sets of the princesses on the other side. And there is still a 5 hour wait. Totally crazy. We would not wait. There is to many other fun things to see and do, to spend 1/2 of my day in one line. As you are escorted through if you look you will see 4 doors. Behind each door is a set of princesses. Great idea! I bet there are lots of people that originally aren’t able to get a FP and never try again. If more would do that I would imagine the stand-by line would get somewhat shorter. I agree. I really have no issue with restroom visits when lines are hours long. I really don’t have an issue with parents taking turns either. 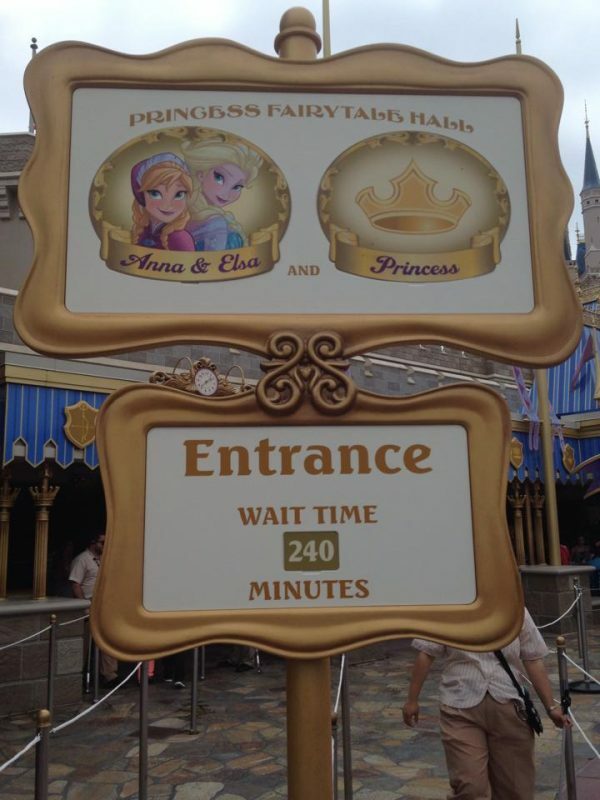 A 4 hour wait for a child to see a Princess is really asking a bit much from the child. Why did you watermark that crowd photo as your own? Dennis – because the person who took the photo works as a partner on my site and asked me to. Is there a reason you have a problem with the partner of a site watermarking her own photo? I’ve seen it prior to this article in several places sans watermark and found it odd. Yes, she shared it on her own personal social media outlets and with friends prior to it being watermarked. I am pretty happy to see that it does have a watermark! Photo cred should have been given from the start on the other media outlets. I actually took this picture, and it was taken off a private Facebook group without permission. Then it was circulated over social media, so I gave Janice permission to watermark it since I write for her site. Surely there is a better solution than lining up the CM’s like some riot police? Not so magical looking. It makes me sad my daughters fave princess now is Anna and no way we can get a photo since I won’t wait 2 hours or more and the FP+ are long gone. I just wish they could find a way to get the wait times down JUST A LITTLE, I mean 4 hours is to much for me. I have a line issue myself. I am fortunate that I go often enough (and without small children) that I can say I will catch an attraction on my next trip and move on to something else. It’s difficult when you have young children that have their heart set on seeing or doing something and the line is that long. But it’s not LIKE riot police. It’s a fun experience, more like a grand parade or moving party. Everyone has fun, and nobody gets hurt dodging poles and tripping over curbs. In addition to the new rope drop procedures, WDW is also making changes to how people wait in the standby line. Your entire party must enter and be in the line for the Princess Fairy Tale Hall. No longer will WDW allow a single member of your party to wait in line while the rest of your party joins you and “cuts” in line with you at a later point. Any party doing this are asked to return to the back of the line and start all over again. Wow! I didn’t know that – they are really getting harsh with regulations. Heaven forbid someone has to use the restroom! Also, if I could give any advice to anyone reading this who is angry about that: be nice to the CMs working the door. After all, they are just doing their job. Thank goodness, nothing drives me crazy like entitled people who think their time is more valuable than everyone else’s. We were on line for Midway Mania (a long, 2.5 hour line) when a group weaved their way up to the front where the dad was holding their spot. Very unfair to the rest of us who waited our turn.